My primary research interest is in understanding the consumer adoption of innovations. Specifically, what factors drive consumers to adopt versus reject an innovative product or technology (e.g., an electric car or self-driving technology). I use theories in cognitive and social psychology (both rational and emotional aspects), and try to model consumer adoption processes using both experimental and predictive modelling approaches. My recent publication in the European Journal of Innovation Management (with collaborators from Delft University of Technology, Netherlands) examines "How Rumors and Preannouncements Foster Curiosity Toward New Products". This research investigates how rumours circulating before a new product is launched influence consumers’ curiosity and adoption intention towards these products. We collected information about rumours and blogs discussing the potential features of several innovative products (e.g., the first iPhone, iPad, Nintendo Wii, etc.) over a 10-year period before these products were launched. We also conducted two experimental studies to verify what are the key characteristics of rumours that have a positive effect on the adoption intentions of these new products after they are launched. The central finding of our research is that rumour ambiguity plays a key role in increasing the curiosity towards these new products before launch. Interestingly, for radical innovations (e.g., the iPhone or iPad when it was first launched), ambiguous rumours (with unclear, incomplete or contradictory information) lead to more curiosity and positive purchase intentions. But for incremental innovations (e.g., iPhone 3 or 4), ambiguous rumours have a negative effect on purchase intentions. Furthermore, the positive effect of rumour ambiguity on purchase intentions carries forward for radical new products even if firms do not formally confirm these rumours in their launch announcements. In summary, ambiguous rumours are beneficial for radical innovations but can be detrimental for incremental innovations. These findings have implications for product managers and marketers in the high-technology industry where new products are being constantly introduced at a rapid pace. Social media has fuelled the spread of rumours about these innovations before their launch (e.g., leaked pictures and features of the new iPhone models). It seems that if the product is truly revolutionary (e.g., a solar-powered car), it is better to let ambiguous rumours spread. But for incremental innovations (e.g., the next model of smartphone) it is better to clear any ambiguity and provide specific information to consumers before their launch. 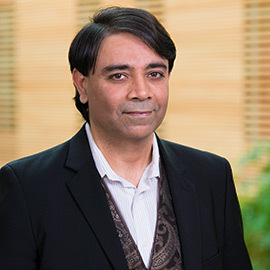 Tripat Gill is an associate professor of marketing at Laurier's Lazaridis School of Business and Economics.